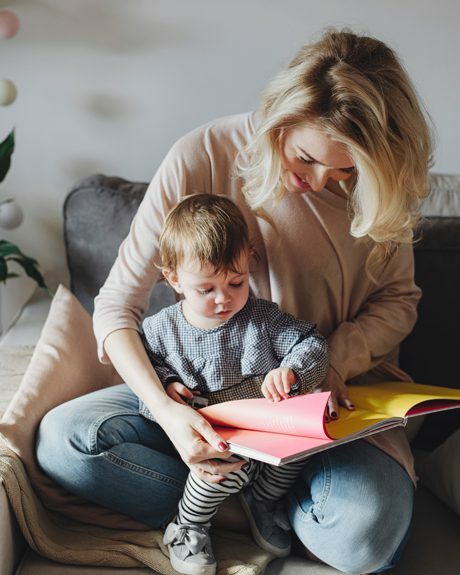 The first step in bringing Hello Sitter to life was understanding what was most important to parents who might be looking to Hello Sitter to solve their immediate child care needs. To help understand these problems the on-demand delivery app builders at Blue Label Labs created a series of simple black and white wireframes that illustrated different concepts for the on-demand service app which the Hello Sitter team then used in a series of focus group tests with potential users. 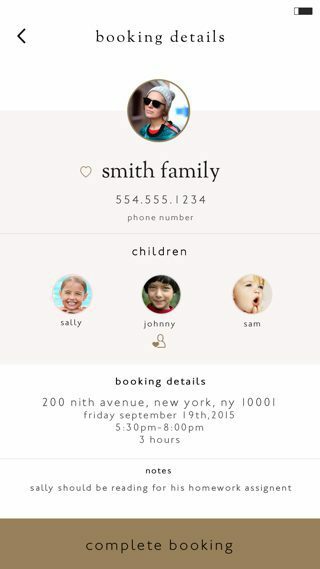 Through multiple iterations of wireframes and focus group testing it became clear that Hello Sitter needed to be more than just an on-demand delivery app that provided a simple way to book a babysitter on an iPhone, it had to give parents peace of mind that they were choosing a sitter that they felt comfortable and to whom they could trust their children with. 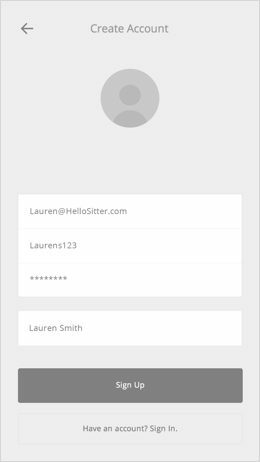 Just as important as it was to provide a simple 3-step process to search, select and pay for a sitter, Hello Sitter had to provide an easy way for a parent to learn about each potential sitter. 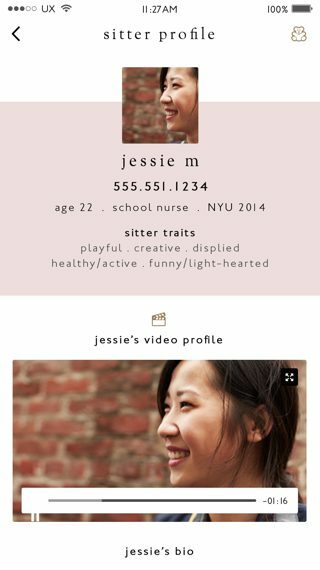 The wireframes throughout the Hello Sitter on-demand service app development process evolved to include both a compact summary of qualifications along with a streamed video biography of each sitter designed to give a parent the most important details without cluttering the small form factor of an iPhone. Designing an on-demand delivery app around the concept wireframes for Hello Sitter required the Blue Label on-demand app development and design team to combine the lessons of the focus group process with the brand identity established by the Hello Sitter team. 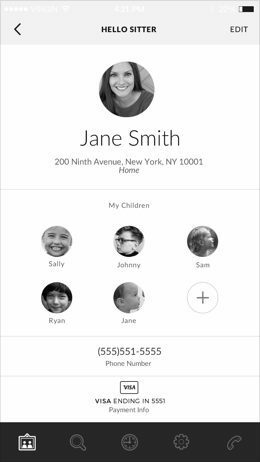 Blue Label on-demand developers set out to create a user interface design that was reassuring and supportive and that encouraged parents to trust the app and, in-turn, their experience with a new babysitter. 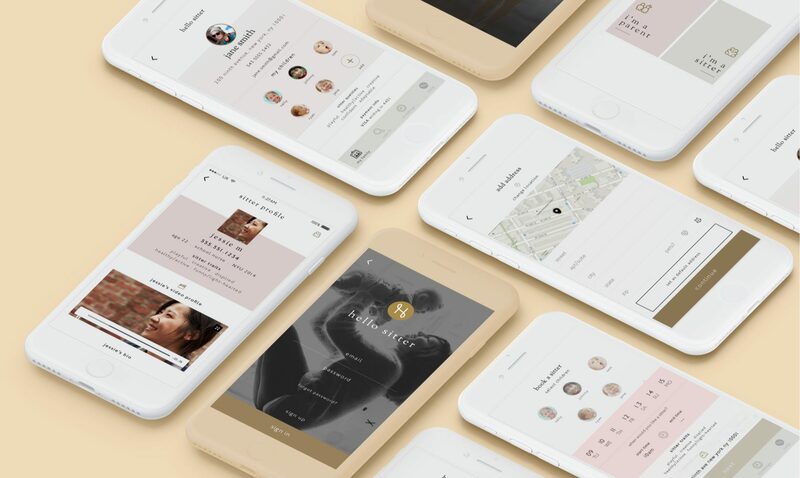 In that spirit, the Blue Label team designed the Hello Sitter on-demand service app with a simple color palette of pinks, golds and whites– intended to be welcoming and project a sense of warmth and trust. Combined with was the use of the Sorts Mil Goudy serif font for titles and the Johnson ITC sans-serif for the body text which helped to convey a sense of trust with the user while making it easy for a parent on-the-go to read and navigate through the app. 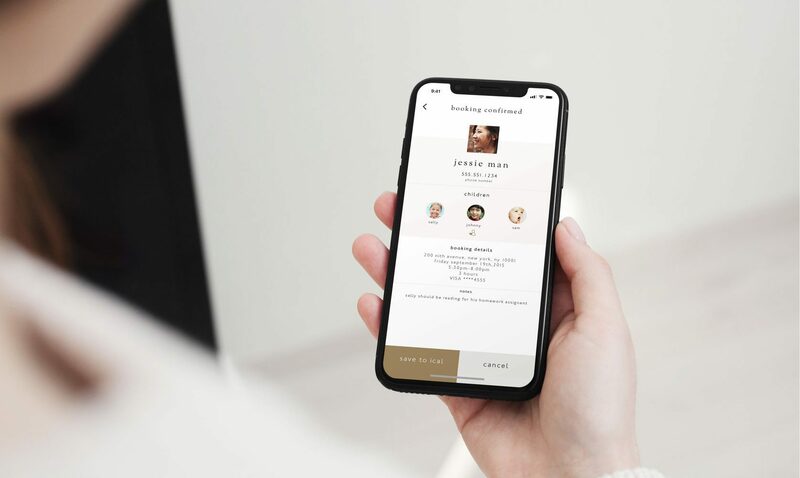 Through the initial focus groups it became clear to the Blue Label on-demand app development and design team that more than just creating a simple user experience that empowered parents to use Hello Sitter, the app itself had to take the guesswork out of selecting a sitter. 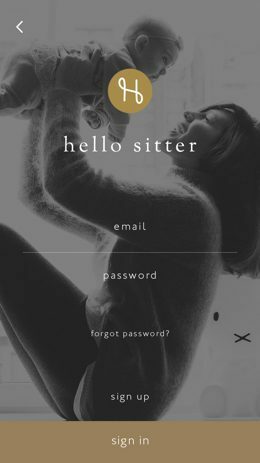 The Hello Sitter on-demand service app needed to be smart; it had to help parents by recommending the right sitter to a parent based on the unique needs of each family and child. 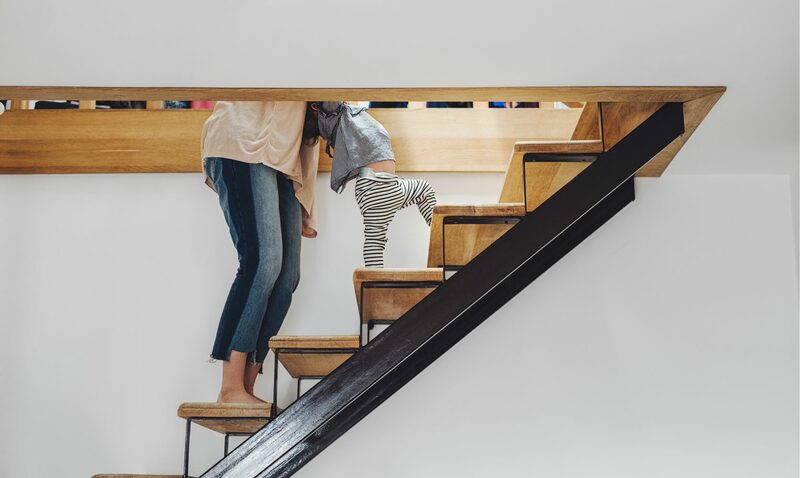 To meet this need, the Blue Label Labs and Hello Sitter teams worked to create a proprietary matching algorithm for the on-demand delivery app that recommended to a parent a slate of potential sitters who were likely to be the best match for them and the unique needs of their children. 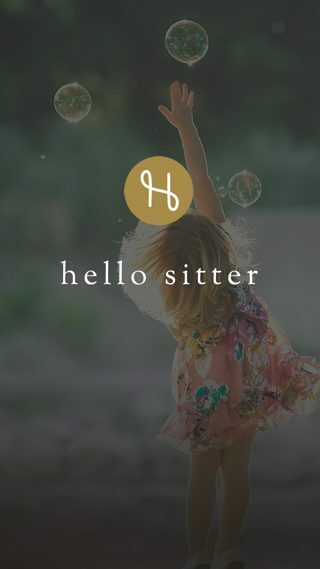 Hello Sitter was conceived to bring the convenience of modern on-demand services to the world of child care which meant that the app needed to make payments seamless and easy. 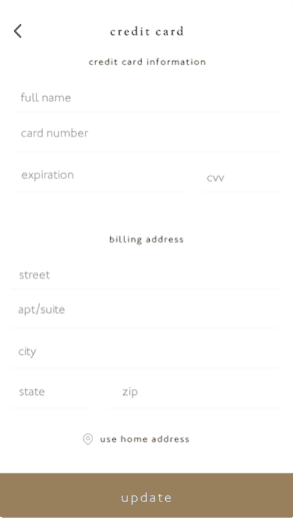 The Blue Label Labs on-demand app developers and designers team leveraged Braintree’s Marketplace platform to securely store payment information and to automatically process payments at the end of each appointment and then route all earnings directly to a Sitter’s account. For later processing via Braintree. 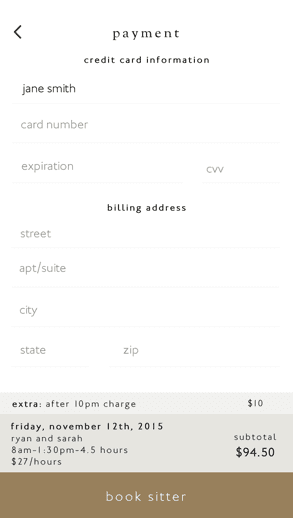 View a clear and transparent list of fees be finalizing a payment. 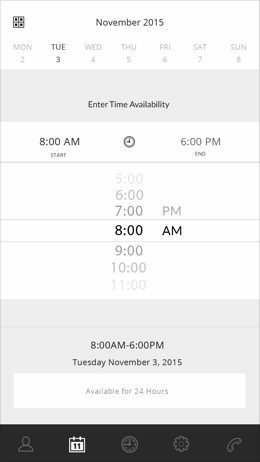 View the time, date, child info and other important notes. 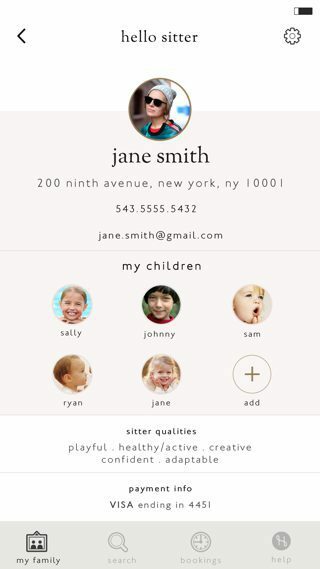 The Hello Sitter app was created to be two distinct on-demand delivery apps bundled into one. 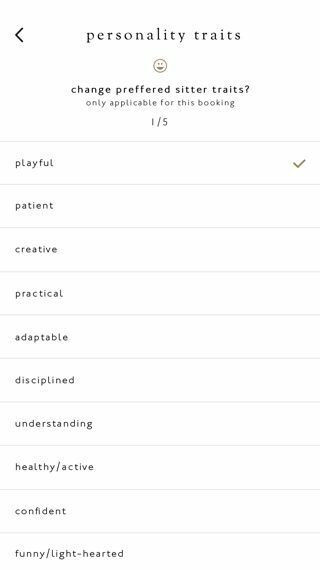 In addition to providing a seamless experience for parents, the Hello Sitter on-demand service app contains an entirely separate set of functionality meant to empower the sitters at the heart of Hello Sitter service. 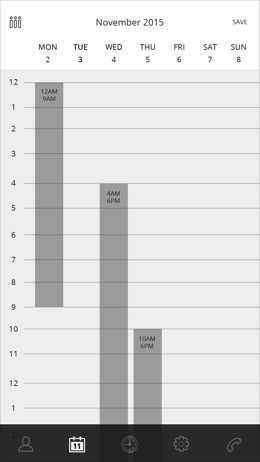 Through the use of a unique dual login mechanism, the Blue Label Labs on-demand app development team built a complete set of functionality to enable sitters to arrange their availability for upcoming weeks through a simple and easy-to-use calendar mechanism. 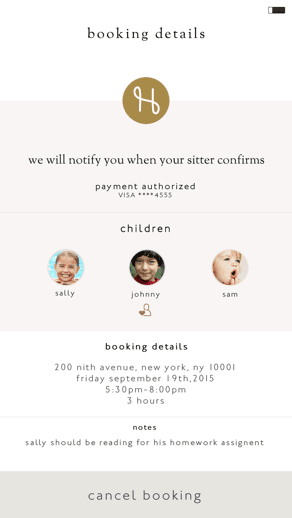 Furthermore, sitters use the Hello Sitter on-demand service app to manage their bookings and trigger payment processing and completion once they’ve successfully completed an appointment. 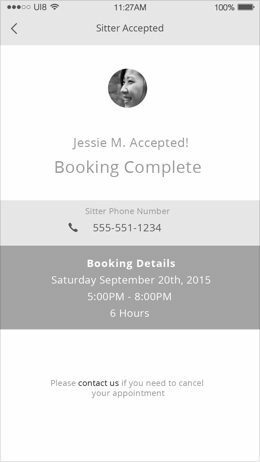 The Blue Label Labs team of on-demand deliver app builders successfully delivered the completed Hello Sitter iPhone app in early 2016. 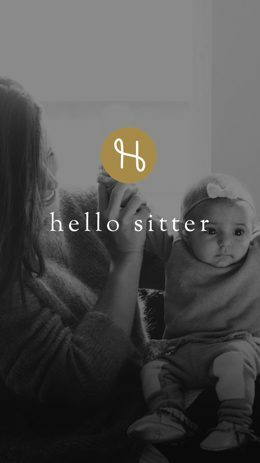 Through the spring the Blue Label Labs team worked with Hello Sitter to use feedback from a wide beta program to further refine and shake down the on-demand service app in preparation for its launch. 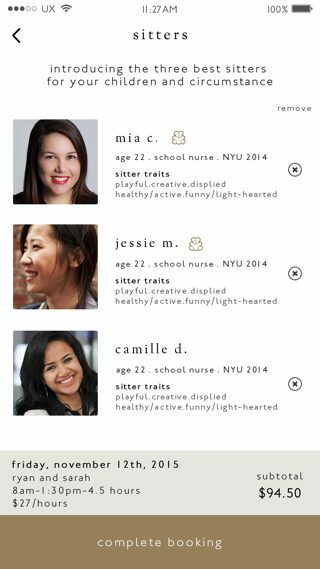 In June 2016, Hello Sitter officially launched where it quickly won the attention of the general public after being featured on the Today Show, the New York Post and Crain’s Business Daily. 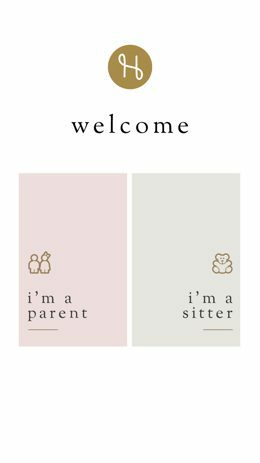 Hello Sitter has been praised for its simplicity and ease of use and has won acclaim for the peace of mind and sense of security Hello Sitter offers to parents looking for on-demand childcare.